September Is Going To Be A Busy Month! First, we sponsor the Greenwich Polo Club's East Coast Open on August 16th, September 2nd, September 9th. Then we head back to The Eastern States Exposition (The Big E) September 19th-September 30th to represent Connecticut by placing our umbrellas on the Connecticut State building front lawn. 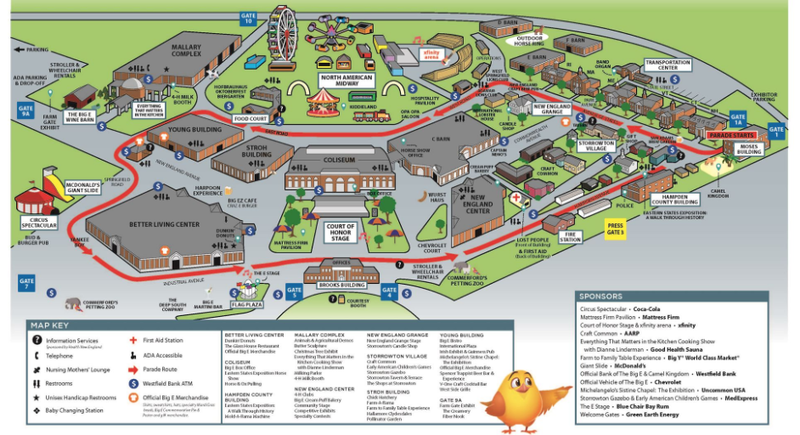 The Big E is the largest agricultural event on the eastern seaboard and the seventh-largest fair in the nation. The Big E is inclusive of all six of the New England states: Connecticut, Maine, Massachusetts, New Hampshire, Rhode Island, and Vermont. Each of the New England states is represented at the fair. Finally, we fly to Chicago September 25th- September 28th for Casual Market Chicago to network and discuss the future of the outdoor furniture industry with fellow furniture designers and retailers. We highly suggest you check out these events if your in the area and if you see us at any of these events please stop by and say hi! Sun Garden At The Big E Representing Connecticut! Sun Garden USA is at "The Big E" from September 19th. -September 30th on the front lawn of the Connecticut State Building. The Eastern States Exposition, it is the largest agricultural event on the eastern seaboard and the seventh-largest fair in the nation showcasing the best of 6 New England States: Connecticut, New Hampshire, Vermont, Maine, Rhode Island, and Massachusetts. For those who don't live in New England, The Big E is like a New England version of Epcot theme park at Walt Disney World, with a focus on the best food, products, services, and culture from each state. This year, the state of Connecticut has allowed us, a CT based business to display our umbrellas on the front lawn of their state house. It is a very rigorous process to be allowed to display your product at the statehouse, and it's been an honor to have the privilege in being able to do so. It's exciting that 5 Million people from 6 states will be sampling our umbrellas in these 11 days of the The Big E. If you are visiting The Big E in the next few days, check them out for yourself in person at the Connecticut State house on the Avenue of states! Sign up with your email address to receive news and updates about Sun Garden products! Canadian Customers: 1-888-727-8121 or 1-905-761-1411 Sun Garden USA does not ship to Canada.